Download Monitor is a simple application which can be used to monitor the amount of data downloaded and uploaded over a network. It displays an easy-to-read graph in monthly, daily, and hourly basis. When you launch this application, you'll see an overview of recent data usage. 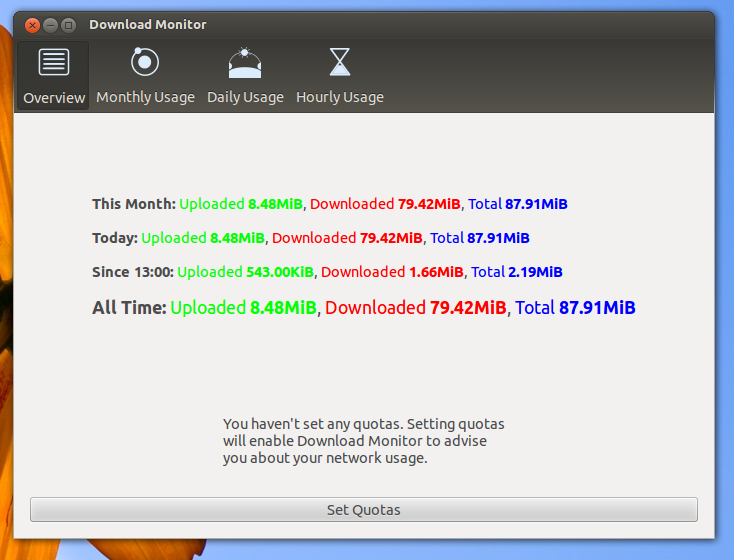 The overview page tells you about the download, upload, and total usage for the last hour, the last day, the last month, and since monitoring started. 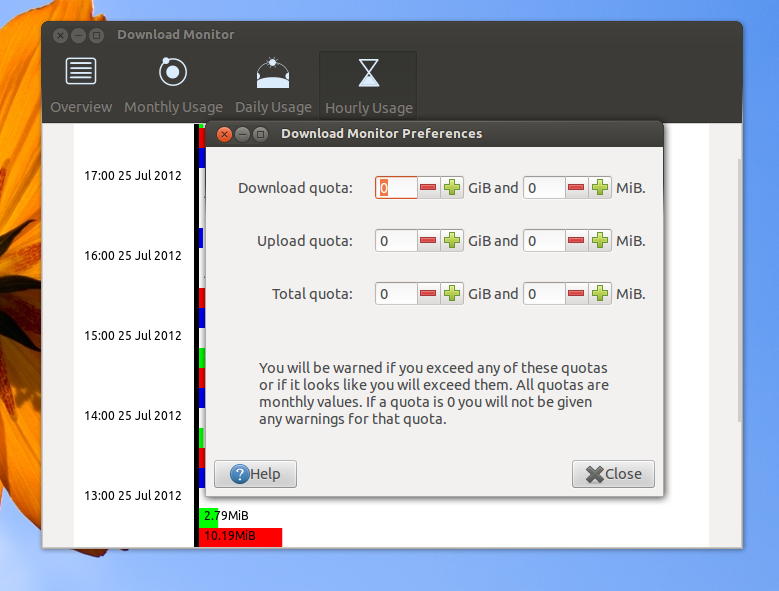 If the overview shows zeros for everything, it means you have just installed Download Monitor and there is no data yet. 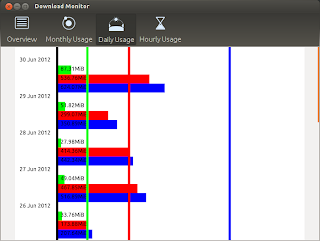 You can view detailed bandwidth usage monthly, daily, or hourly by selecting the relevant toolbar button or selecting the relevant item from the View menu. There are 3 horizontal bars: green representing uploaded data, red representing downloaded data and blue representing total transferred data. 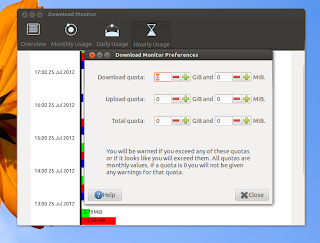 The vertical bars show the usage quotas you have set.